Mark Twain? F. Scott Fitzgerald? Anonymous? The first remark has been attributed to Mark Twain and the second to F. Scott Fitzgerald. Sometimes the term “exclamation marks” is used instead of “exclamation points”. What do you think? 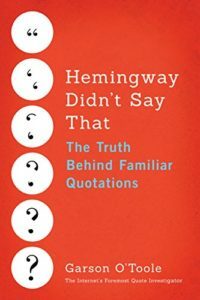 Quote Investigator: Mark Twain did mention exclamation points in his essay titled “How to Tell a Story”, but the context only partially matched the statements above. Details are given further below. “You don’t mind if I reword it here and there?” he asked. 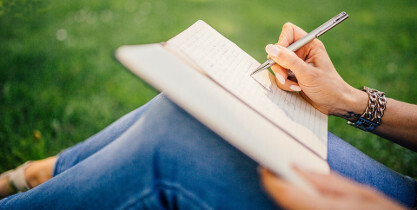 And though tired from his own writing at the studio, he sat down with a stubby pencil and a pack of cigarettes and painstakingly—and completely—rewrote my copy. He worked with the utmost concentration and as he worked he twisted the hair above his forehead so that a tuft stood up, as on a kewpie doll. It gave him a strangely boyish appearance. “Cut out all these exclamation points,” he said. “An exclamation point is like laughing at your own joke.” He underlined words I should emphasize, corrected my grammar. F. Scott Fitzgerald? Sheilah Graham? Apocryphal? Are these the words of F. Scott Fitzgerald who famously penned “The Great Gatsby”? I have not found this quotation in his writings, and it is not currently listed on the Wikiquote page for Fitzgerald. For Scott treated his teaching of me—which was finally to grow into a project beyond anything either of us anticipated—as a challenge as exciting as screen writing. He made out careful lists of books and gave me daily reading schedules. Fitzgerald wrote lengthy notes in the margins of the texts he gave to Graham. The couple discussed the readings extensively, and he even quizzed her. The affair ended after a few short years in 1940 with the death of Fitzgerald from a heart attack. In 1959 “Beloved Infidel” was made into a film starring Gregory Peck and Deborah Kerr. In subsequent years Graham’s gossip column emerged as the most powerful and long-lived in Hollywood.